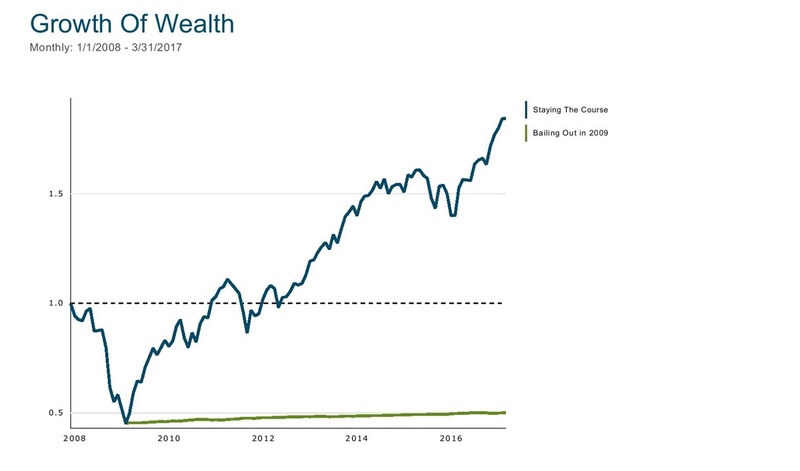 We spend a lot of time with clients walking them through market history, including the most severe market downturns (1973-1974, 2000-2002, and 2008, for example) and how they would impact their actual portfolios. But seeing a stock decline on paper, and experiencing one in real life are two entirely different things. It's not uncommon for investors to tell us they'd be comfortable with a 40% to 50% temporary decline when setting up the portfolio, only to panic as soon as a 10% to 15% loss occurs. Researchers have captured this phenomenon vividly in the video below. Volunteers were given $30 to jump off a high-dive springboard about 30 feet in the air. The difference between the concept of jumping 30 feet into a pool, and being confronted with the experience are miles apart, and most people who agreed to do it weren't able to go through with it. Those who did agonize greatly over the decision. This is an apt analogy for why you hire an independent, fee-only financial advisor. As our March Factors In Focus newsletter discussed, knowing what to do (or committing to something) and going through with it are not the same thing. Many investors who know they need to stick with their investment plans are simply unable to do so when the going gets tough. 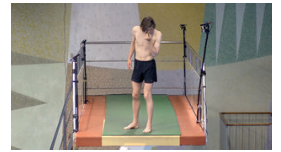 In the video, an advisor would play the role of someone who would not make the jump shorter, but instead would confidently walk up the ladder with you, hold your hand, tell you to close your eyes and jump off the board with you. And then, when the temporary but very real pain of the experience had ended, they'd point you in the direction of where you could go to collect your reward. Past performance is not a guarantee of future results. Mutual fund performance shown includes reinvestment of dividends and other earnings but does not reflect the deduction of investment advisory fees or other expenses except where noted. This content is provided for informational purposes and should not to be construed as an offer, solicitation, recommendation or endorsement of any particular security, products, or services.